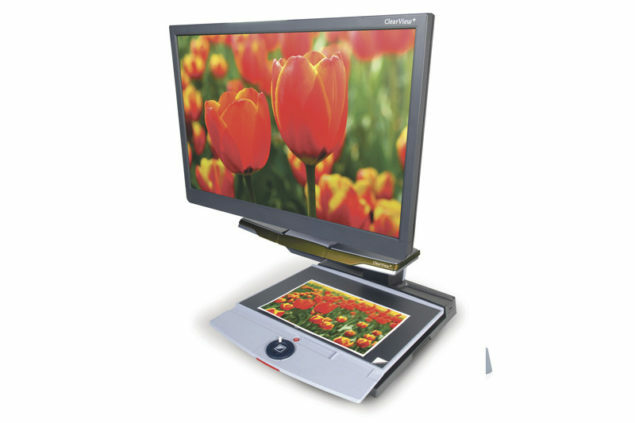 Regain your independence with the Optelec ClearView+ desktop video magnifier. Read your morning newspaper, view family photos, enjoy hobbies, complete crossword puzzles or write checks with the touch of a button. 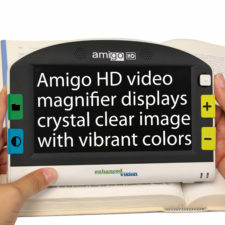 The ClearView+ desktop video magnifier’s smoothly sliding reading platform helps you to navigate around documents. On the ergonomic wrist pad you can rest your hands next to the controls while reading. The “one touch” brake instantly and effortlessly freezes the position of the document so you never lose track of where you were viewing. 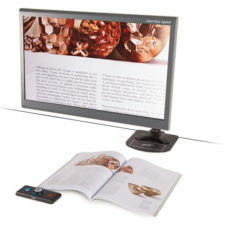 For a perfect reading comfort, the ClearView+ allows you to adjust the monitor to your preferred position with ease. Move the screen up or down, forward of backward or tilt it in order to optimize the distance between your eyes and the image. 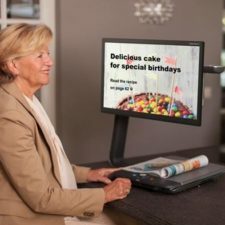 The ultra flexible monitor arm offers 90° degrees rotation for column reading. 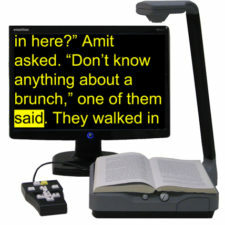 Designed specifically for comfort and simplicity, the ClearView+’s “one button” main control is located conveniently on the reading platform where you can rest your hands while reading. This way you can adjust the image when needed easily and stay focused on the text. Less frequently used controls can be hidden with a cover. Benefit from many years of experience in the development of video magnification and see the sharpest details of characters or objects in high contrast. All ClearView+ units use the latest video processing technology, resulting in smooth character edges, vivid colors and true color representation. Tailor the ClearView+ according to your needs and budget. There are different models available with basic or advanced options. 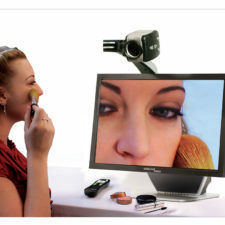 Select a model and customize it by choosing your preferred monitor size and functionality. 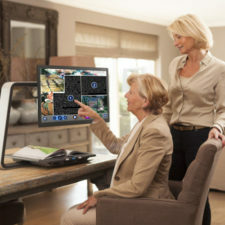 Every ClearView+ model offers standard computer connectivity. 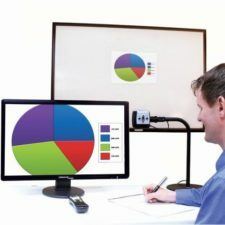 To learn more about this or any of our products and services or to schedule a no obligation demonstration, contact a Low Vision Specialist at New England Low Vision and Blindness to learn more. You can also call our toll free number 888-211-6933 or email us at info@nelowvision.com.